IRIS has been in the financial compliance space for over 2 decades having worked with regulators and filing entities alike. In India, we have supported MCA filings for over 700 entities and GST compliance for over 300 entities including companies of groups such as Tata, Reliance, TVS, Godrej, Bajaj, L&T etc. 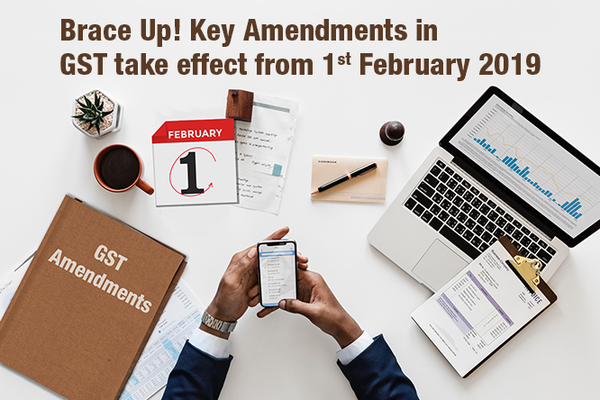 IRIS GST, an end to end GST filing solution, is a mix of our deep domain capabilities and strong technology backbone. If you have any questions or would like to know how you can easily transition to IRISGST with minimum disruption to your business, please write to support@irisgst.com. Excellent post and all the amendments were explained very lucidly, and in a language that could be understood even by a layman also. Looking forward for such simple analysis. Thanks, keep reading our posts and follow us on Facebook, Twitter and LinkedIn for regular updates. Thanks for the post. Its very transparent and anyone can easily understand the changes. Do the same continuously. Thanks for the appreciation. Keep visiting the website and follow us on Facebook, Twitter and LinkedIn for regular updates.